I don’t know about you, but New Year’s Resolutions always make me feel depressed. I mean, you can spend an hour thinking about what you believe is wrong about yourself and make unreachable goals on how to better yourself. Although I may be young, I have had enough New Years pass to recognize that I’ll never be able to suceed at my goals. So, when I was scouring the interwebs, I came across a cool idea that I feel like is a more positive way of going about a New Year. On Buzzfeed it showed this group of people decorating a jar to put strips of paper in throughout the year. Happy New Years everyone! Already looking forward to this year! 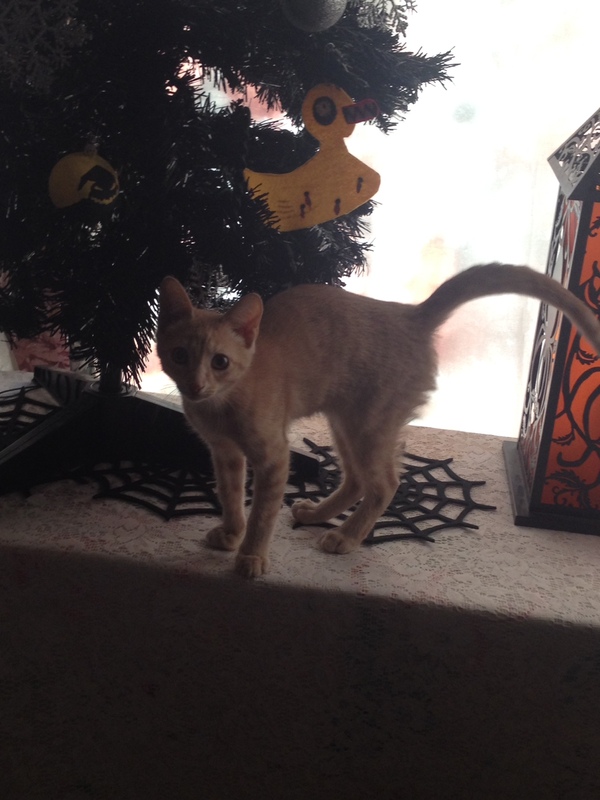 Just yesterday our family got a new little kitten, so now we have little Crookshanks to add into our family. I’m looking forward to 2015. Not only do I have a clean room, a new kitten and lots of family and friends to share it with, but recently I have started contacting someone who I have not spoken to in a long while and hope becomes part of my life, as well as I have become friends and started dating an amazing boy from school. How has everyone else’s New Year’s been so far?